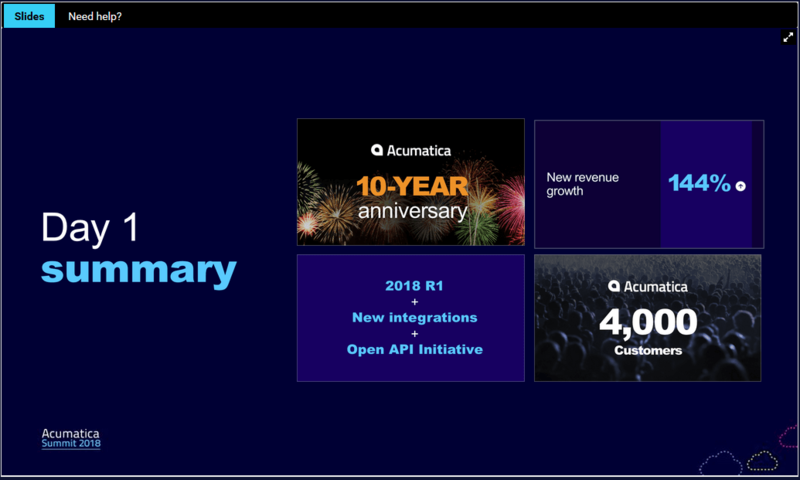 Acumatica’s 2018 Summit kicked off today in Nashville with many exciting announcements, here are some highlights!! 1,100+ Summit Attendees, up from over 900 in the previous year 144% Revenue Growth, up from 80% in the previous year!! Another milestone reached, 4,000 Customers!! We are excited to hear what is announced tomorrow, stay tuned for more updates.